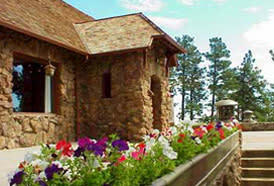 The Boettcher Mansion is a historic mountaintop estate, built in 1917 as a summer home and hunting lodge for Charles Boettcher. Tour the interior, resplendent with period furniture and decor, and learn about the history of the Arts & Crafts style and how the stone, stucco and timber buildings came to be placed on the National Register of Historic Places. 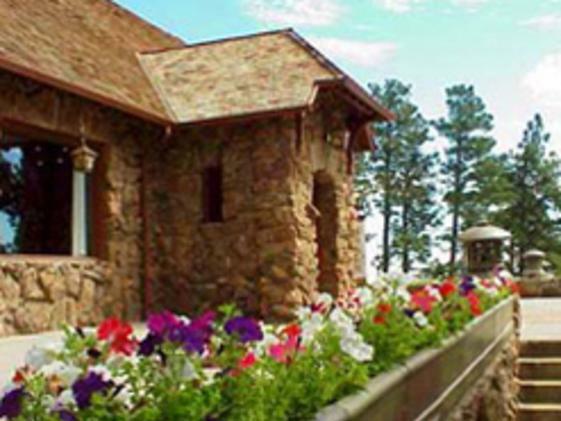 Note the sympathetic changes and additions that have been made to the facility since 1975, enabling it to function as a modern-day special events venue ever since Jefferson County acquired the property from the Boettcher family for public use and enjoyment. Read about the Boettcher legacy within Colorado from this 7500-foot perch with views of the Continental Divide and the plains beyond Denver.